Michael Moore On His Penchant For 'Trouble' In his new memoir, Here Comes Trouble, the filmmaker behind Roger & Me shares vignettes from throughout his life, including his early interest in becoming a Catholic priest and his days as a young supporter of Richard Nixon. 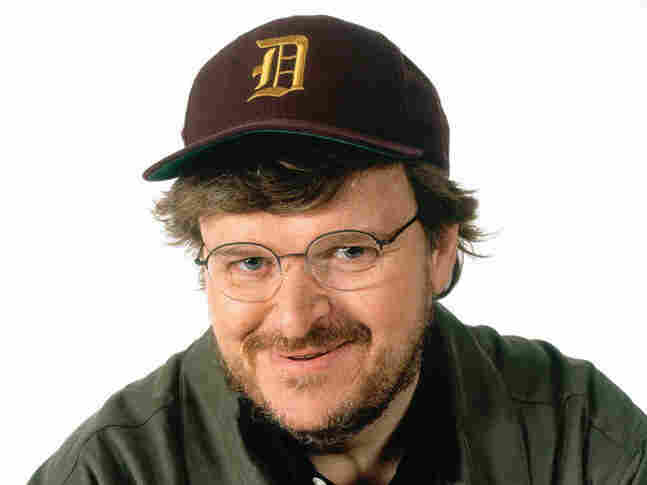 Michael Moore has directed several documentary features, including Roger & Me, Bowling for Columbine, Fahrenheit 9/11 and Sicko. Michael Moore didn't plan on becoming a filmmaker. As a teenager growing up in the Midwest, he considered documentaries to be a bit like broccoli: good for you, but boring. Instead, he spent his adolescent and young adult years rabble-rousing. He was elected to the school board when he was a senior in high school, became a young supporter of Richard Nixon, and even flirted with the idea of becoming a Catholic priest. But once Moore got around to finally making his first film, he stumbled upon a new kind of documentary: confrontational, comedic and provocatively political. Roger & Me, about the decline of Moore's hometown, Flint, Mich., was the public's first glimpse of the documentarian's often brash interview style. 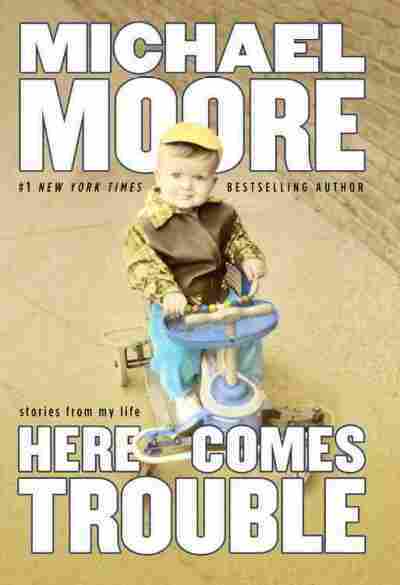 Moore talks with NPR's Neal Conan about his new memoir, Here Comes Trouble: Stories from My Life; why he bristles at being called controversial; and how he feels about the current partisan mood in the United States. "When you think back to those pivotal moments ... you're trying to figure out, 'How did I get here?' and sometimes they aren't big things that happen in your life. Sometimes they're very small events. "And I had just been elected to the school board, but I still had a week left of school. So I was both a student and the boss — or one of the bosses — of the vice principal. We're standing there in line, getting ready to go up to the graduation ceremony, and he's coming down the line making sure each of the boys have a tie on underneath their gown. "And he yanks him out, and he literally takes him out the door. And ... his parents are sitting up there in the stands — go through the whole graduation — their son never comes out. Later they find him curled up in the back seat of their car crying, because he didn't get to graduate. "And this just — this just did a number on my own conscience. And I just thought, I will never be silent again. And I stood there and said nothing. And I just resolved at that moment, at 18 years old, that I will not stand silently by when I see some injustice taking place, even if it is the smallest thing ... And so I was kind of a different person from that moment on." "I started my own newspaper when I was 22, 23 years old. And it was an alternative newspaper, and I edited and wrote for that paper for almost a decade. And that was kind of my early background before Roger & Me, in terms of investigative reporting and writing about what was going on, especially with General Motors. "I was writing back in the '70s that something's wrong with this company. This can't sustain itself if they keep behaving this way. If you keep laying people off who buy the cars, who's gonna buy the cars? And when you lay them off, they don't just stop buying cars. They stop buying washing machines and clock radios and things like that ... I wasn't an economist, but it just made sense to me that moving these jobs to Mexico and other places was going to totally decimate our economy here. "I get called controversial all the time ... What's so controversial about just trying to warn people that this company — the way they're being run — it's not good? And it's going to hurt everybody and everything, eventually. That seems like a community service to me. I don't know, maybe I don't have a good view of myself ... I never think I'm controversial. If I stand on the Oscar stage and I say, 'Hey folks, they're not gong to find any weapons of mass destruction; we're not being told the truth,' and etc., etc. What's so controversial about that? It's just the truth." "I firmly believe that ... where we need to come together as a country is to realize that we all have more in common than not. If we got out a piece of paper ... draw a line down the center — agree, disagree — the list of what we agree on, I am certain, is much longer than the things we don't agree on. "I'm going to guess Republicans and Democrats, liberals and conservatives, all want clean air to breathe and clean water to drink. I'm sure most people think women should be paid the same as men if they're doing the same job. I think we all want good schools for our kids. If we made that list, we actually are in agreement on more things. "The things we don't agree on — if I don't want to own a gun, I won't own one; if you want to buy a gun, buy a gun. If you don't want to marry a man and you're a man, for God's sake, don't marry a man! You'll hate it! But if other people want to do that, what's it to you? "And I think we've got to come to just a place of agreeing to disagree on some things. Let's have the big debate on them — some will win, some will lose. But listen: We are all Americans, we are all in the same boat, and we are going to sink or swim together. And my friends, we are sinking right now. And if we don't put aside some of this and figure out a way to get together to fix some of these problems, we are in deep, deep trouble."